Calgary native Andrew Love recently made his Broadway debut in Les Misérables, after singing in its 2013 run in Toronto. In opera, Andrew has quickly garnered attention from coast to coast, singing Sid in Opera on the Avalon's Albert Herring, Marcello in Highlands Opera Studio's La Boheme, and Lord Cecil in Pacific Opera Victoria's exciting production of Donizetti's Maria Stuarda. Andrew was a finalist in the 2010 Lotte Lenya Competition in New York, and covered the role of Phillipe in the North American premiere of Rufus Wainwright's Prima Donna with Toronto's Luminato Festival. 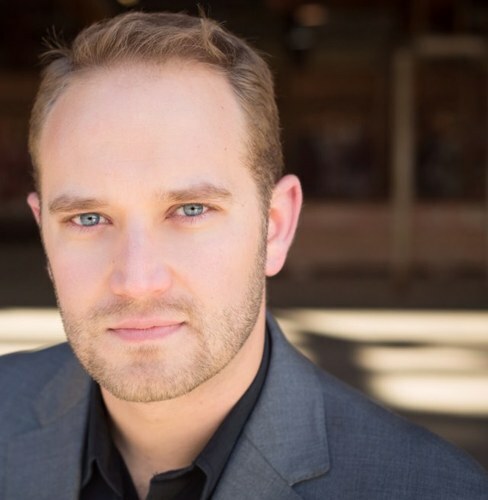 As an inaugural member of Calgary Opera's Emerging Artist Development Program, Andrew performed the roles of L'Horloge Comtoise in L'Enfant et les Sortilèges and Stephen Wagman in the world premiere of Estacio's Frobisher. Andrew has presented compelling performances of Brahms' German Requiem (Barrie's Colours of Music Festival), Carmina Burana (Indian River Festival, PEI) and Vaughan William's Dona Nobis Pacem with Kitchener Waterloo's Grand Philharmonic Choir.